UK delivery within 5 working days. Est. 29 April - 2 May. 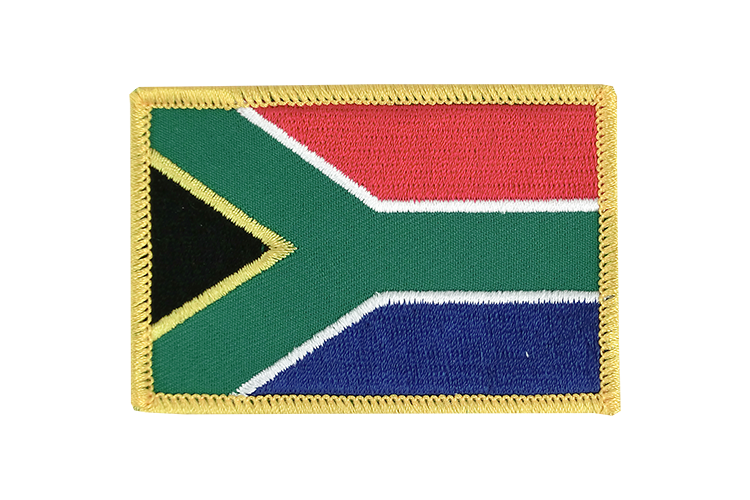 South Africa flag embroidered patch in size 60x80 mm may be sewn or ironed on. The patch is coated with a special adhesive that melts when heat is applied and thereby sticks well to fabrics. Simply place the south african patch in the desired position, place a sheet of paper over it and iron it. Ideal as a gift or as part of a collection. To sew on, or to iron on, 20-30 seconds with any iron. 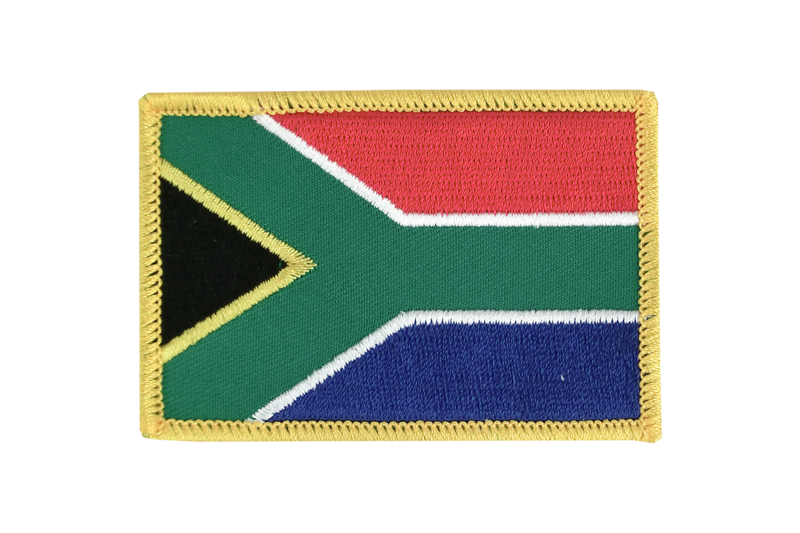 Buy South Africa flag patch online. Your Flag Store | Shop online for Flags - Royal-Flags. Here you can find all sizes and designs of our South Africa flags for sale. Order "Flag Patches" in bulk from us. Buy many with less money.